The G3 chuck has a smaller size with single handed operation, making it perfect for smaller Mini Lathes. It is available in two versions. The G3 Chuck requires an insert to be purchased separately to provide the threads for the lathe you own. 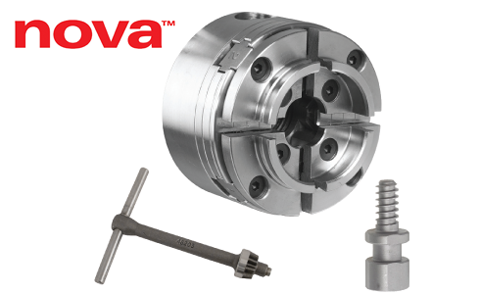 The G3 Reversing Chuck is direct threaded for 1"x8 and includes a locking set screw to lock it on the shaft onMini or Midi lathes that have a reversing feature. A threaded insert needs to be purchased separately (offered below) to fit the G3 Chuck on your lathe spindle. The G3 Reversing Chuck is direct threaded and does not require the optional insert.